Rolfing ® Structural Integration is a manipulation of the soft connective tissue to align the major body segments. It combines movements and techniques to facilitate an improved posture. It was developed by Dr. Ida Rolf. 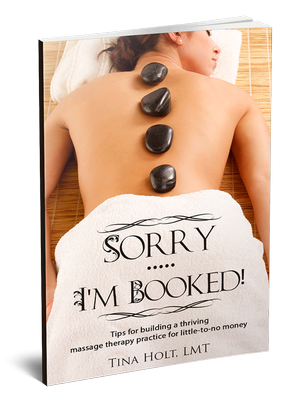 Benefits of Integrative Bodywork Therapies! Dr. Rolf realized that the human body is composed of networks of tissues rather than a collection of separate parts. The connective tissue (or fascia) surround, support and attach to all of the muscles, bones, and organs in our body. This therapy works on this "webbed" composition of connective tissues to release and realign the entire body. Essentially, the process enables the body to regain the natural integrity of it's form, thus enhancing postural efficiency and your freedom of movement. Treatment involves the use of light and deep pressure applied carefully to the body with fingers, knuckles, wrists, forearms or elbows to return the body to it's natural structural alignment. Therapy is usually done in a series of ten treatments that last for one hour each. Some therapists may offer other time durations of this treatment, however one hour is the recommended time frame, and the most beneficial to the client. The benefits of structural integration include increased flexibility of muscles, improved physical appearance, increased range of motion, and an overall positive sense of well-being. Unlike massage therapy, structural integration actually reshapes and separates the facial layers of muscles that have been pulled out of their normal position. Pressure is applied to help stretch the fascia and return them to their normal state of being. The therapist may use knuckles, thumbs, fingers, or elbows to effectively work problem areas in the fascia, using different pressures and speed throughout the session. The techniques used are effective for relieving pain associated with scoliosis, whiplash, TMJ, sciatica, headaches, wrist pain and shoulder issues, as well as other chronic pain problems. The Basic Training Program is given in three phases. Rolf Institute requires participation in their program (and only their program) in order to be a certified Rolfer. This book by Ida Rolf, Rolfing®and Physical Reality provides the benefits, details, and uses of this method of Structural Integration.